It’s time for another healthy packed lunch idea! For this edition, I got a little help from my friends at Liberté. If you need a nutritious packed lunch idea, I’ve got some ideas to help you out. One of my favorite lunch to pack lately has been yogurt with granola. Add a couple sides, and you’ve got a delicious lunch that’s good for you, too. 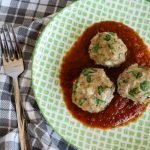 The main reason I love this lunch idea is because it’s super easy to pack! I’ve mentioned before like I like to pack my lunches for the entire week on Monday. 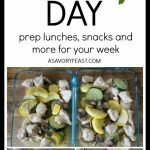 This lunch makes it easy because you can buy enough yogurts for the week and pack the granola and other sides on Monday. It’s quick enough that you could even pack the sides every morning instead of on one day. I’m loving the Liberté Yogurts right now! They have 7 scrumptious flavors like caramel, blackberry, lemon and french vanilla. Any of these flavors go great with granola! Pack a small serving of your favorite granola and use it to mix into your yogurt. It makes the meal a little more filling. The little tupperware containers you see in my pictures are perfect for packing cucumbers with ranch to dip them in. I pour a small amount of ranch dressing into the tupperware and then add a few cucumbers. Doesn’t it look adorable? It’s delicious, too! An apple is an easy addition to your lunch because you don’t have to do any prep work for it! 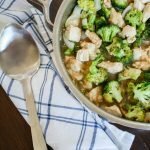 If you like, add some peanut butter to have with it. TIP! Be sure to pack a spoon for your yogurt if you don’t have silverware at your work or school. 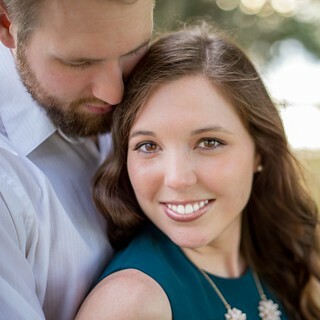 Are you a Publix shopper? Be sure to check out these great coupons to save on Liberté and lots of your other favorite brands! 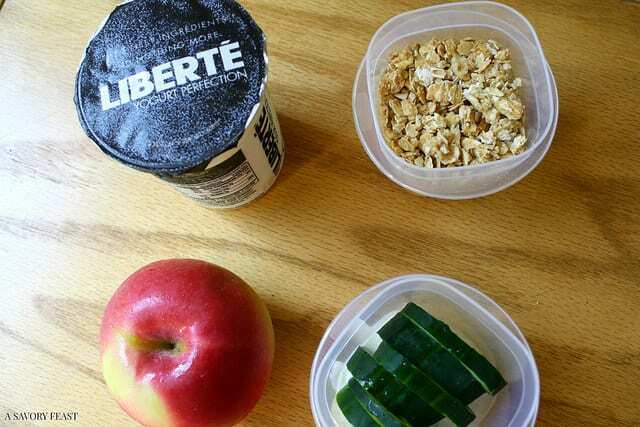 Want to try Liberté Yogurt for yourself? Enter to win a $15 PayPal Gift Card so you can head to your local Publix and purchase your flavor of choice. 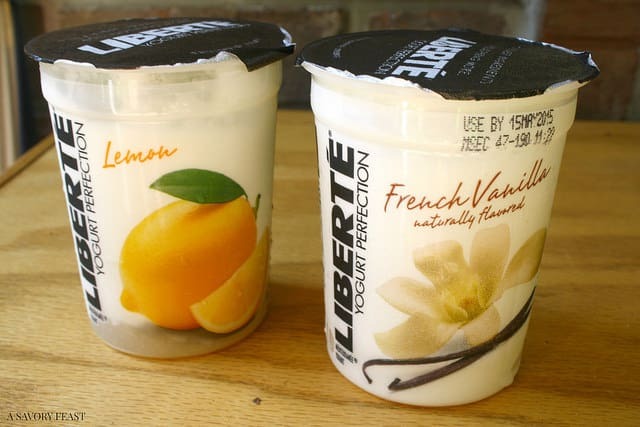 What is your favorite way to eat Liberté Yogurt? I LOVE yogurt and granola! Its one of my favorite breakfast or lunches. Unfortunately I’ve had to give up all dairy, but I want to try this yogurt and see if Harper likes it! I also seriously need your lunchbox!! Aww, giving up dairy would be such a bummer! I’m sure Harper will love it, though. I love my Vera Bradley lunch box! It’s so happy and just the right size. Yogurt is SUCH a great (HEALTHY) snack! I haven’t tried Liberte, but next time I’m at the store I’ll check it out. It sounds delicious! You should give it a try! It’s honestly the best yogurt I’ve had in a long time. Soooo yummy without being overly sweet. Liberte’ is our FAVORITE!!!! THanks for the lead on coupons!!!!! My tip? crush graham crackers into the lemon or the coconut flavor. It’s like eating pie!!!!! Looks delicious! I’ve never tried Liberte, but now I want to!! Do it! I just love them. Thanks girl! It always brightens my day at lunch time. I tried the Lemon and French Vanilla. Now I want to get all the rest of the flavors to try! I want to try Méditerranée Cappuccino . Mmmm, that one sounds sooooo good. It’s on my list to pick up next time I’m in Publix. Thanks! Those containers have come in handy for so many lunches. They are such a great size! And I’m with you on the strawberry. I love trying other flavors but I always go back to it. ooooh, I love Liberte yogurt! It is a bit more caloric but tastes so amazing! 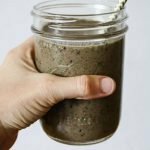 It is higher in calories and sugar, but still pretty good for you! Plus it’s soooo yummy. I would like to try lemon. I just had that one in my lunch and it was amazing! I’d like to try Méditerranée Blueberry. That’s on my list to try! It sounds incredible. I’m all about that blackberry! This looks oh so yummy! Mmm, I need to try that one too! I’d like to try the Coconut flavor first! I haven’t tried that one yet. It sounds soooo good, though! Love the cuke & dip! It’s such a great way to pack it in your lunch. Those little containers are so handy. I really want to try the French vanilla! 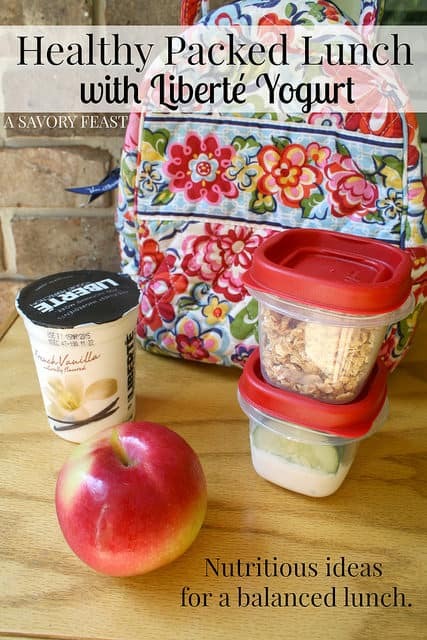 These are great tips for packing lunch! You should, girl! It’s my favorite so far. I want to try blackberry. I do too! It sound so good. I want to try the peach and passionfruit. Yum! Those both sound great! I haven’t tried either of those flavors yet. Oh I would love to try the Méditerranée Lemon first! I love anything lemon!!! The lemon one was sooooo good! I really enjoyed it. This looks like my kind of lunch – and this yogurt is so good!! I was beyond surprised when I tried it for this campaign, to find how delicious it was. I can see myself buying this on the regular, at least when I’m looking for an indulgent yogurt. 🙂 The lemon is by far my favorite! I wish I could find the Peach Passion Fruit one! I haven’t seen the peach passion fruit one yet, either! It sounds so good. And I’m with you, I’ll definitely be buying this in the future now that I know it’s so good. That’s one I need to try, too. Strawberry is always one of my favorite yogurt flavors. I can’t wait to try that one! I’d like to try the Méditerranée Blueberry. I would try the coconut and caramel flavors first from the choices. I would love the Blueberry flavor! I would like to try the blueberry and caramel flavors. I’d like to try the Méditerranée Cappuccino first! I would like to try the Méditerranée Cappuccino.